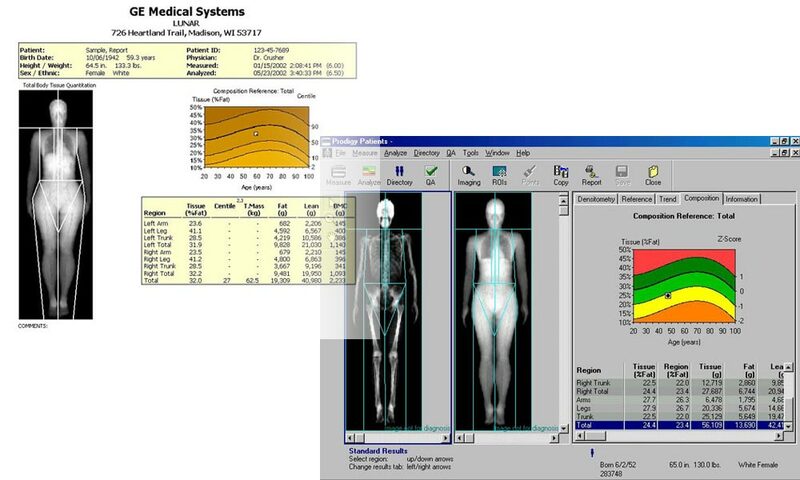 Body Composition Scans use DXA scanning, the same technology used to determine bone density, to calculate your body’s percentage body fat, percentage body lean, and bone density. A thin elderly person can have an “ideal body weight” and a “normal” BMI, but have a very high percentage body fat and very low percentage body lean mass. Conversely, an athlete could have a high BMI or be “overweight” on the height/weight charts when in reality they are quite healthy with a low percentage body fat and high percentage body lean mass. DXA scanning is the most accurate and reliable technology to obtain this information. We use this information to help understand your risk for diseases such as Type 2 Diabetes, Heart Disease, Stroke, High Blood Pressure and certain cancers which are directly linked to percentage body fat. We also use these results to set weight loss and health goals and track progress toward them. Dr. Weinstein was a recent guest on KPFT Radio's Open Journal - Community Spotlight with host Shushana Castle discussing the topic of achieving excellent health. Listen to the podcast by clicking on the box below. All information contained on the DoctorAdamWeinstein.com website is intended for informational and educational purposes. The information is not intended nor suited to be a replacement or substitute for professional medical treatment or for professional medical advice relative to a specific medical question or condition. © 2012 Dr. Adam Weinstein. All rights reserved.